So, Farming Simulator. It’s actually a game I still want to get a review up for before the end of the year, should this accursed year actually give me a little breathing room. Not because I saw it at Gamescom and then later went to a preview event of the game, where I got to herd pigs and sheep and also drive tractors worth more than my house. The reason is simple: it’s genuinely an enjoyable game. The franchise has always been a big seller. Simulator games like this are surprisingly popular in continental European countries such as France, Poland and Austria. Also, particularly so in Germany, where Farming Simulator has always been a popular series. Indeed, from what I was told earlier this year, avid followers of the series are farmers themselves, as well as other blue-collar industry (trucking, etc) professionals. 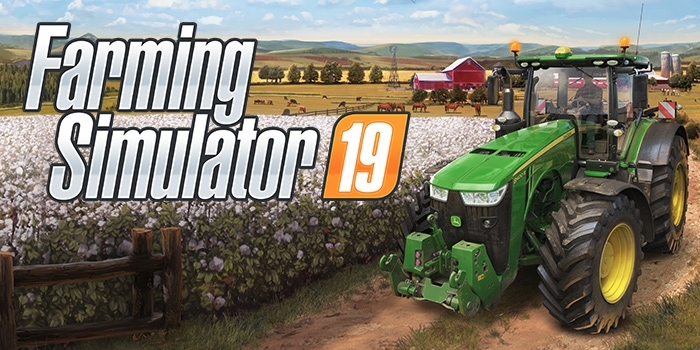 2018, with Farming Simulator 19, marks the most successful the series has ever been. This new iteration, featuring a revamped graphical engine, new gameplay features and the inclusion of a huge name in the industry, John Deere, has sold 1 million copies (physical and digital) in just ten days. For a niche title, that is huge. The game also hit the top of software charts in the US, UK, France and Germany, as well as other countries. It’s incredible to see the impact of the team’s hard work. Farming Simulator 19 offers so many new opportunities and our players are thrilled about them. Never before has a Farming Simulator game reached the one million mark so quickly and we are proud and happy that so many players join us on this amazing journey. We’re extremely proud to support GIANTS Software on the development of the Farming Simulator franchise. Farming Simulator 19 is simply exceptional, and the sales match that. Giants have demonstrated once more the incredible talent of their studio to always reach a larger number of players. This also confirms the know-how of the Focus Home Interactive teams in bringing franchises to new and bigger audiences, reinforcing the fantastic work done by the studio for each new game. Farming Simulator 19 is out now on the PC, PlayStation 4 and Xbox One. It’s certainly worth it if you like the niche that is effectively a job simulation, though it does have new management options within. Hopefully, I can get the review out soon, though you can look forward to the game featuring within the upcoming best simulation games of 2018 end-of-year list.